The first volume in an historical trilogy about the blood-soaked Viking warriors of ninth-century Norway. ...[a] white-knuckled retelling of the protohistory of Norway’s Harald Fairhair ... As with the finest historical fiction, it’s a question worth asking ourselves today. Do we trust one another enough to throw our lots in together? Can these laws that we have agreed upon truly hold? The form of society is, after all, not predetermined, but rather constantly shaped by its members. The novel is the first in a trilogy, but it stands well on its own. The later books will benefit from shedding this inaugural volume’s greatest weakness — the annoying immaturity of Ragnvald and Svanhild at the beginning of the story. They whine and pine and fail to see beyond their own noses. Happily, that phase soon passes, and all three characters grow into themselves and the reader’s heart. This is a delightful novel, one that manages to summon the musty halls of a seemingly distant past and populate them with the complex heroes of our age. Hartsuyker’s terrific historical epic, first in a projected trilogy, beautifully evokes the period and the mind-set of its warring peoples ... Posing thoughtful questions about the nature of honor and heroism, and devoting significant attention to women’s lives, the novel takes a fresh approach to the Viking-adventure genre. Hartsuyker also shows how the glorious deeds in skaldic songs can differ from their subjects’ lived experiences. The multifaceted characters are believable products of their era yet relatable to modern readers; the rugged beauty of Norway’s farmlands and coastal landscapes likewise comes alive. The language is clear and eloquent, and the action scenes will have the blood humming in your veins. This is how tales from the old sagas should be told. Ragnvald must choose between a pair of kings; it’s a real My Two Dads scenario of murder on the ice. During these passages, Northern life is depicted in brilliant flashes as golden wolves prowl beneath the waves. The novel’s strength lies in its insights about Viking folkways, and Hartsuyker succeeds in capturing the Northmen’s mindset. Desire and vengeance feed an omnipresent shadow of violence that lurks over every gathering, like it must have during the Golden Era of the Vikings. But same element which gives The Half-Drowned King its curious appeal—its proximity to the ancient sagas—also makes it a boring read .. 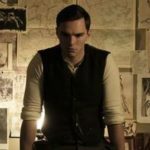 The entire narrative has the hazy blur of legend, sacrificing specificity for an ambiguity that coats its audience in a quilt of names and strange words. A lover of Viking culture will feast freely; all others will be found wanting ... Reading The Half-Drowned King is like riding in a longship to raid: the cargo might be worthwhile, but the journey requires patience. 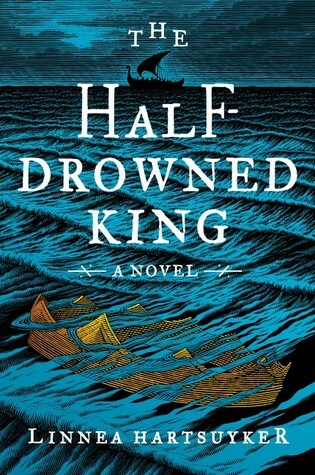 What did you think of The Half-Drowned King?